Eagle is built on an intelligent platform that allows upgrade between versions! Pan today, 3D tomorrow. Pan, Ceph and 3D, all in only one device. 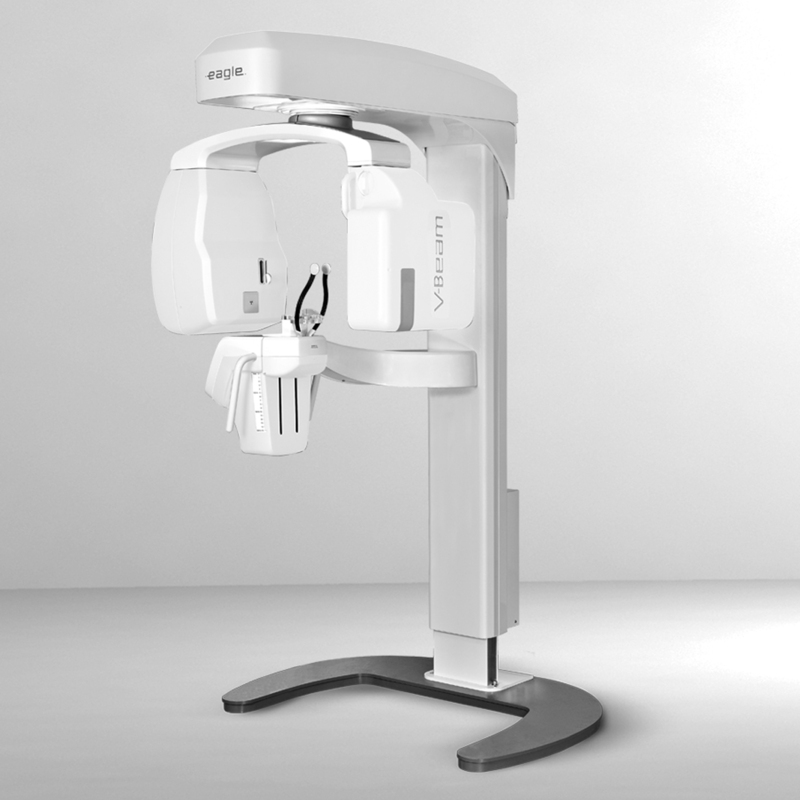 Variable Cone-Beam, an exclusive technology developed by Dabi Atlante, guarantees high definition in images with FOV of 5x5, 6x8 and 8x8, and also allows for capturing images of larger dimensions (up to 23x16). 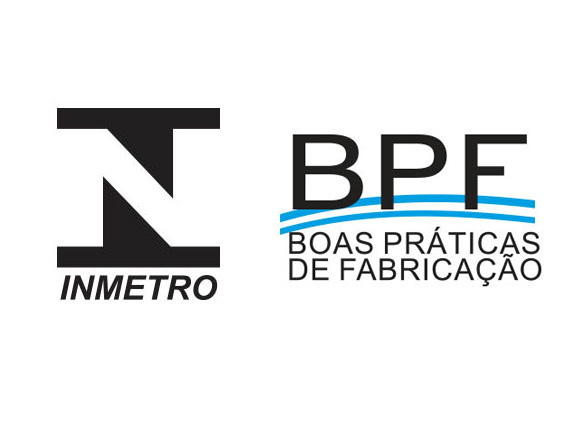 5x5 - 6x8 –8x8 - 8x12 - 8x16 – 13x16 - 18x16 - 23x16. 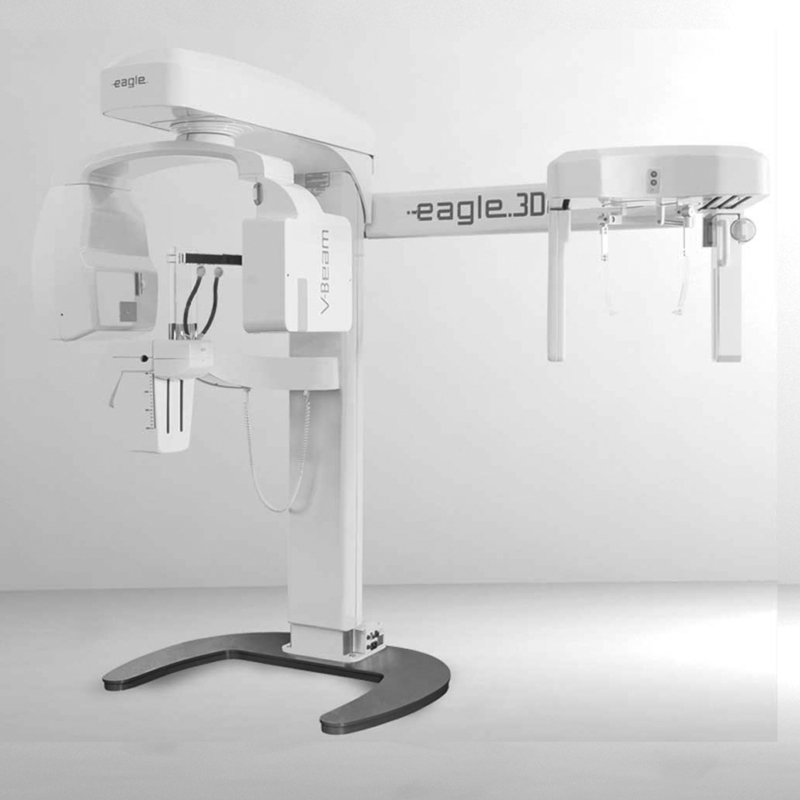 The Eagle 3D has different resolutions with Isotropic Voxel between 80 and 500 µm. Eagle is built on an intelligent platform that allows upgrade between versions! You can buy a Pan system and upgrade later to Ceph and 3D. 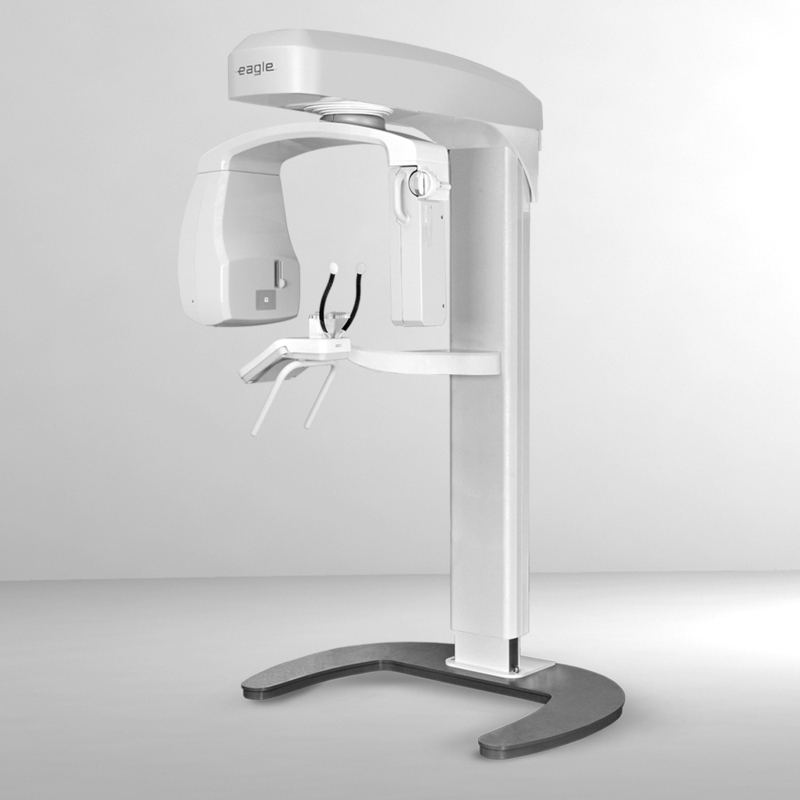 The adjustable height of between 1,20m and 2m, for the frontal positioning of the patient in relation to the operator, tooth clamp with swivel brake, chin support, temple support and three laser beams, guaratee precise positioning of the patient. 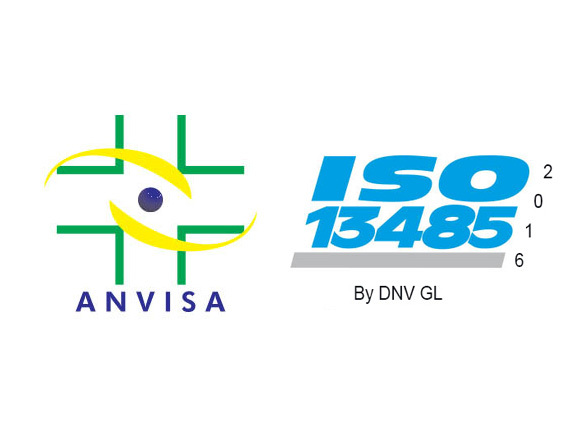 One of the most renowned software for tomographic reports in the world. The software offers a friendly interface, availability of resources/functions, speed in processing, security, and total display/management of the generated images. 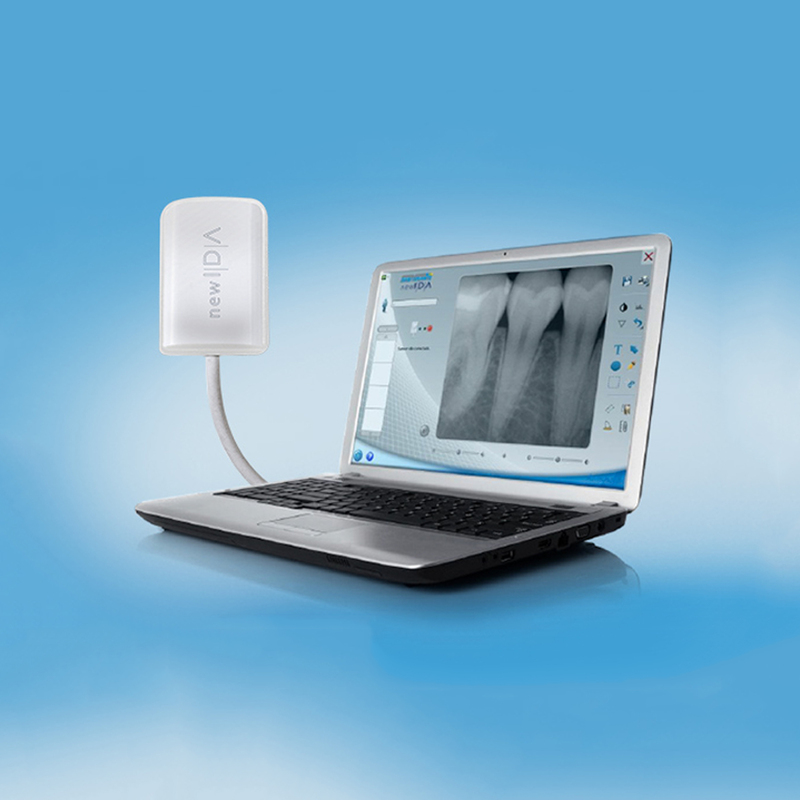 Regardless of the chosen profile, the images are automatically processed and displayed within the sharpen, brightness and contrast parameters previously determined, giving agility to the workflow and standardization of the exams. The Eagle DICOM Send software tool permits the instant transmission of images generated by Eagle to storage and sharing systems in physically separate locations; an extremely useful resource for clinical networks that can decentralize image acquisition and centralize reports. We chose Eagle to equip our clinics not just because it offers all the exams that we need, but also because we have the best after sales service. 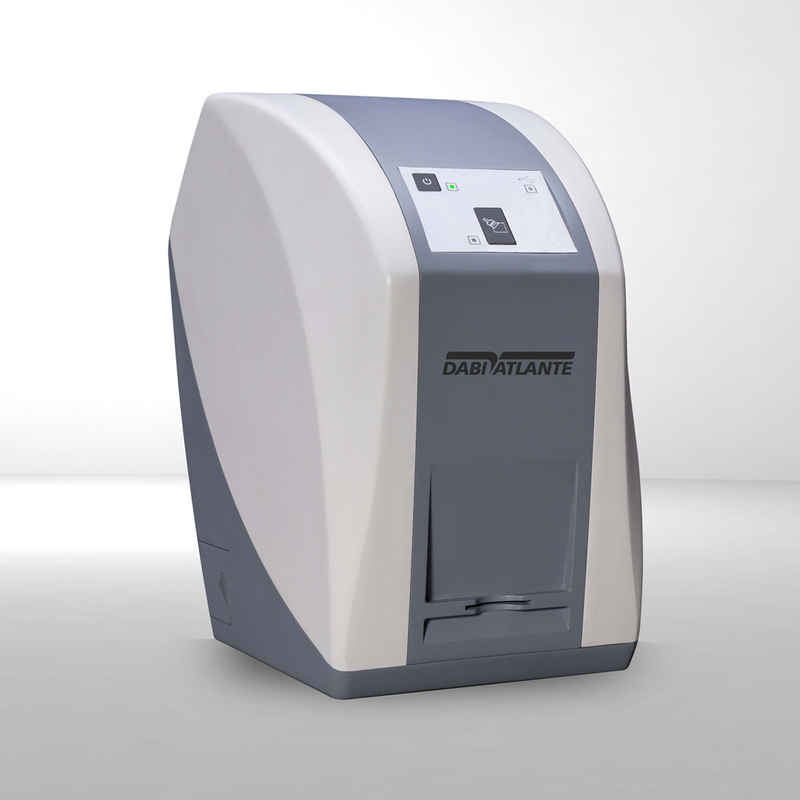 We recommend Eagle for our experience with after sales service offered by Dabi Atlante, which is fundamental point for a radiology clinic. 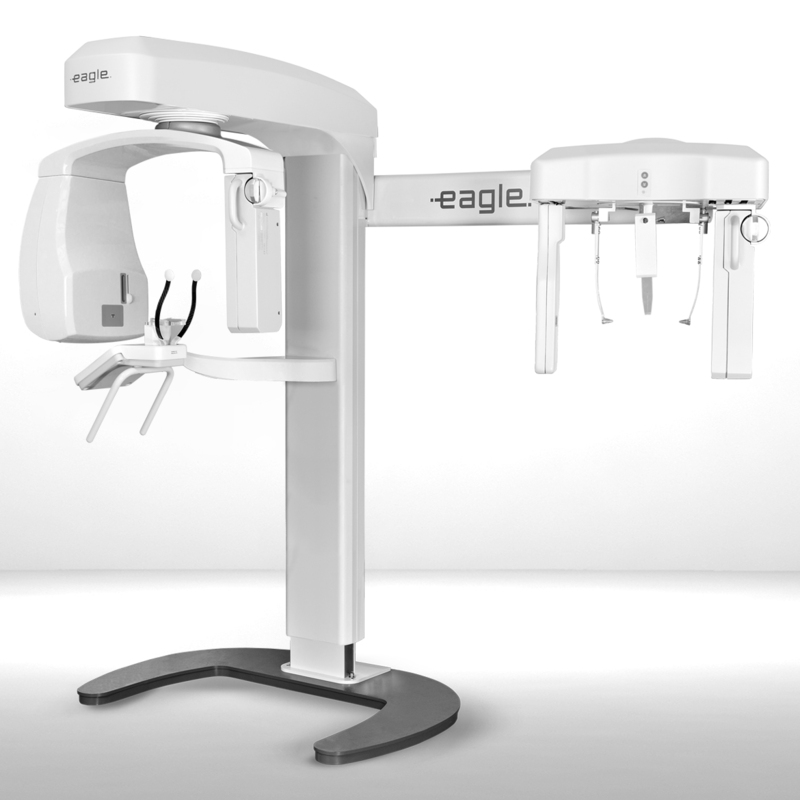 "Using Eagle, I had a "completely transformation " in my operation , making easy all the workflow to generate and obtain the images, with a greatly reducing of the number of repetitions of captures. Great image quality, low maintenance numbers, friendly for the operator, high assertiveness numbers (very low numbers of repetitions), are some of the differentials that I found. " 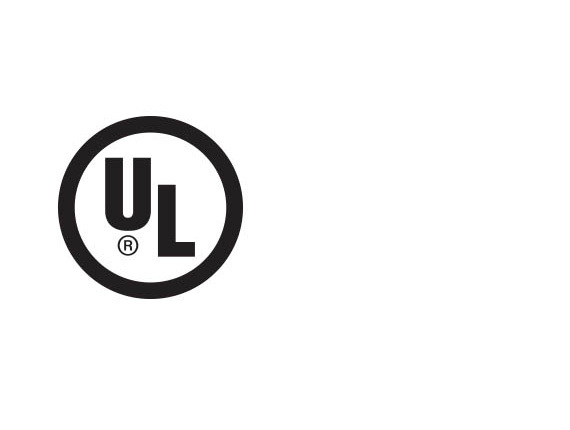 "I updated from analog to digital 2D and a year ago updated again, with great satisfaction, to 3D, it was a constant improvement of the quality, assistance and the certainty of making the right choice."